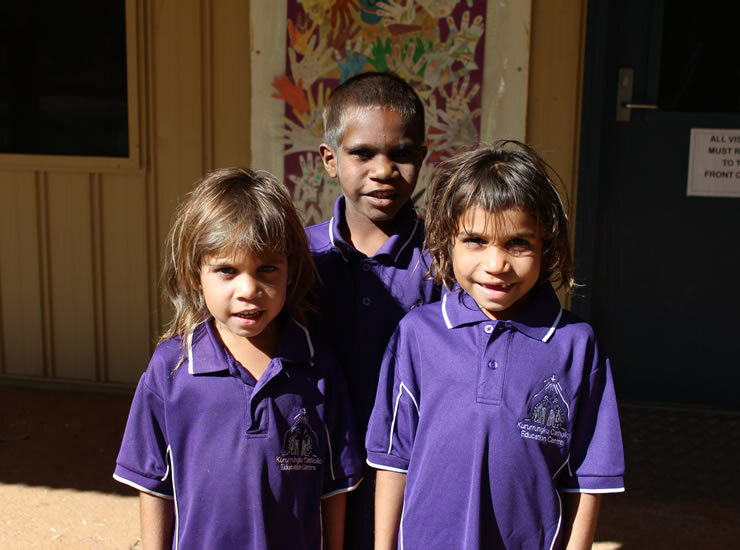 Kururrungku Catholic Education Centre provides a loving environment where the Catholic Faith is valued and promoted and where its primary focus is Jesus Christ. Jesus is the centre of our daily life and provides the nourishment we all require to be good and valuable people. promote the development of each person – spiritual, academic, emotional, social and physical so that each child can become an active participant in not only Billiluna Station, but in all spectrums of society. It is a place where each person shall recognise and respect the dignity and rights of self and others. Create an environment which will motivate a desire for knowledge, understanding and a love of truth. Challenge and encourage children to widen their range of interests beyond Billiluna Station and extend their own abilities for the good of all the people they come into daily contact with. In this environment of understanding, acceptance and happiness each child can grow to personal and social maturity whist aiming towards making a worthwhile contribution to society. maintain close consultation with the community regarding decision-making.